The order Geraniaceae is divided into five tribes, one of which is called Geraniae, which in turn also has five genera, two of which are Geranium and Pelargonium. It is at this point that the reader can become confused by virtue of the fact that gardeners still continue to refer 10 pelargoniums as geraniums despite botanists changing the name of the genus well over a hundred years ago. We therefore have two very different types of plants both being referred to by the same name, which can obviously create confusion. The true geranium is a herbaceous hardy plant widespread throughout the world, in temperate regions and on mountains in the tropics, a considerable number being native to Great Britain, Europe and North America. On the other hand the pelargonium erroneously, but by common usage, called geranium, is a half-hardy plant found in temperate or subtropical regions of the world. About 90 per cent of the species grow in South Africa and others are found in Abyssinia, Kenya, Tanzania, Madagascar, Tristan du Cunha and New Zealand. During the last century pelargonium hybrids have become naturalised in some Mediterranean countries, the Canary Islands and in California. The species was first introduced to Europe in the seventeenth century by way of ships of the Dutch East India Company which established a naval station at Table Bay in South Africa in 1652. All the species grow in regions which have periods of drought, and often in areas where the soil is poor. Consequently, the species have developed the capacity to endure these conditions. The genus Pelargonium, with which we are concerned, is divided into fourteen sub-genera, but only two of these are of interest in this context: Cieonium and Pelargium. 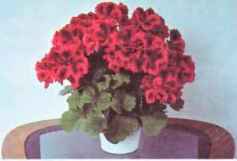 It is from this sub-genus that the zonal pelargoniums, commonly called geraniums, are derived. As with many plants which have been raised from a number of different species by cross-breeding over a long period of time, it is impossible to be sure of the parents, which have been used to produce the many hybrids now in existence. Systematic breeding is a development of the twentieth century and few hybridists kept detailed records in earlier times; but it is traditionally thought that the main parent species used in developing the zonal hybrids were Pelargonium inquinans (introduced in 1714) and Pelargonium zonale (introduced in 1710), but it is more than likely that other species such as P. seandens, P. frutetorum and P. hybridum were also involved. In addition to zonal and regal pelargoniums there arc several other groups, the main ones being ivy-leaved pelargoniums, scented-leaved, decorative foliage varieties, uniques and miniatures. You could easily fill a greenhouse with a small selection of the many varieties available, but if your purpose is to grow plants to furnish the house throughout the year it is necessary to show restraint and select the groups which will serve this purpose best. The two main groups, which are the zonals and regals, are therefore the obvious choice. 1864 by the famous breeder Victor Lemoine, in his nursery at Nancy, which was the result of a sport. By 1869 Lemoine was listing 70 varieties of double-flowered geraniums. 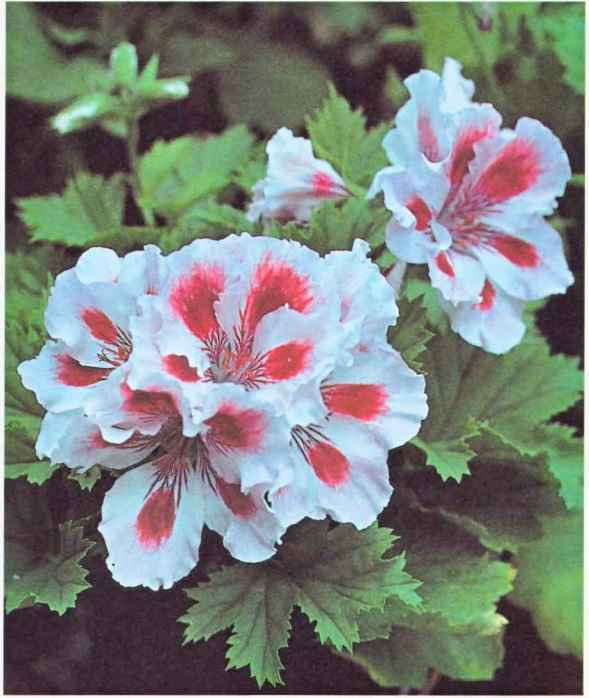 In 1871 a considerable cash prize was offered for the first double white, which gives some idea of the interest and the demand for geranium varieties. The most famous of all, 'Paul Crampel', was raised by Monsieur Crampel at his geranium nursery at Nancy. Realising he had raised a plant of considerable commercial value, he commenced propagating a large stock from cuttings, without allowing any of the plants to bloom, thus keeping secret the beauty of this new variety and reducing the possibility of theft. When he had filled several greenhouses and was ready to market the plant, it was allowed to bloom and introduced to the public in 1903. 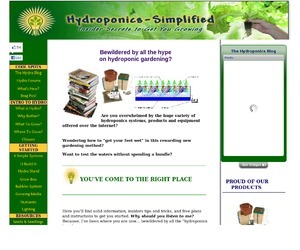 The plants were sold at over ¿1 each. At the time the red-flowered 'Henry Jacoby' was the most popular variety and Covent Garden was, as often, rather conservative, with the result that it was a few years before 'Paul Crampel' took pride of place, but eventually by 1910 it was recognised as the finest geranium in the world and has remained popular even to this day, despite the many superior cultivars which have since been raised. The regal pelargonium, as we know ii today with its ruffling of the petal, giving it the impression ofbeing a double flower, was not developed until 1877. These pelargoniums are the most important of the genus, offering a much wider variety of colouring and form, and they make outstanding pot plants. 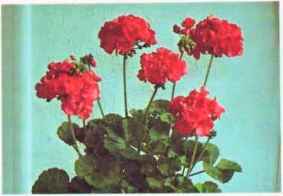 For bedding-out purposes, however, they do not possess the virtues of the zonal pelargoniums. Older varieties tend to have a much shorter flowering season than the zonals, which flower continuously throughout the summer months, but in recent years new varieties have been raised which flower almost continuously in the summer. In the USA regals are also known as 'Lady Washingtons' or 'Martha Washingtons' and in Germany as 'Edel-pelargoniums'. Many of the regal and zonal pelargoniums grown at the turn of the century are still available today. Regal Pelargonium (Pilargpntum xjomttneum). Show ing a few of ihc many named varieties available raising new varieties from seed. However, during the last few years seedsmen have been offering new varieties of geraniums (zonal pelargoniums) in their seed catalogues which can easily be raised from seed, and will flower in the same season; consequently nowadays quite a large number of gardeners raise their plants from seed. On the other hand the best hybrids are named varieties, which can only be obtained from nurserymen, of which there are a number of firms who specialise in pelargoniums, and can otTcr a wide range of all groups, especially regals and zonals. One of the virtues of pelargoniums is that they can be grown for a very low cost, in fact after the initial outlay the only expense involved is for compost, pots and enough heat to keep the greenhouse temperature from falling below 35-40°F (2-J>°C) during any-cold spells which may occur in the winter. l-ig. ft Regal pelargonium cutting*, (a) An ideal cutting about 3 in (7.5 cm) long (b)The prepared cutting after all [he stipules and the surplus leaves have been removed, (c) The cutting inserted in the cutting composi to a depth of about I in (2,5 cm), (d) Cover wiih a plastic dome or a transparent plastic bag for seven to ten days. 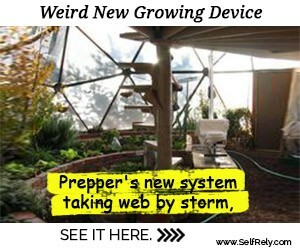 and it seems to occur more frequently when the cutting compost is kept too damp, or strangely enough conversely if the compost is allowed to become too dry. A cutting compost which I have found to give excellent results is a mixture of 3 parts of soilless cutting and sowing compost to 2 parts of vermiculite (see page 26). Prepare the mixture the day before you are taking the cuttings, put it in the container you are going to use, then give it a good watering. Leave the cutting mixture exposed to the air in the propagator or for autumn cuttings, in the greenhouse, and by the following day the compost witl be in the right condition to take the cuttings with the least risk of black-leg occurring. Vermiculite has the property of absorbing excess moisture and gradually releasing it to the soilless sowing and cutting compost as required, with the result that the cuttings never need watering while they are covered, and when the covering is removed the compost only needs watering very occasionally. It is necessary to cover the cuttings, otherwise on warm days they will wilt. If you use a standard size seed tray, with a plastic dome, this is ideal and will provide accommodation for about two l-ig. ft Regal pelargonium cutting*, (a) An ideal cutting about 3 in (7.5 cm) long (b)The prepared cutting after all [he stipules and the surplus leaves have been removed, (c) The cutting inserted in the cutting composi to a depth of about I in (2,5 cm), (d) Cover wiih a plastic dome or a transparent plastic bag for seven to ten days. dozen cuttings. 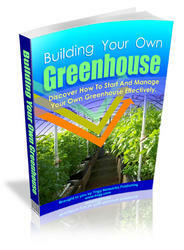 If possible, keep the cuttings in a temperature of60-65°F(15- I8°C). The cuttings should be in a good light but protected form the direct rays of the sun, and after ten to fourteen days remove the plastic cover. In five to six weeks all the cuttings should be well rooted and potted into 3l/i-in (9-cm) pots using compost E6. Pelargoniums require a slightly acid soil, pH 6.5 to 7. After potting, water the plants and do not water again until the surface of the soil indicates that watering is required. At this point it is necessary to differentiate between spring cuttings and autumn cuttings. f'ig. 7 A siandard size plaslic seed tray is ideal when it number of cuilings is required, (a) A tray full of regal pelargonium cut lings which have rooted, (h) Cuilings covered by a plastic dome Moisture which Ibrms during the night on the inside of the dome should be removed at the beginning of the day.